We take our stewardship of the Rat Terrier very seriously. Each breeding is planned well in advance to benefit our breed developement first and foremost. Our puppies are raised here at our ranch where they can grow up rolling in the green meadows and splashing in the creeks or even running in the timber. I love and cherish my moments as a breeder and feel we are quite blessed. We are dedicated to our beautiful Standard Rat Terrier. It shows in the offspring who have become ambassadors of the breed all around the world. In my honest opinion there is not a better family dog in all the world. 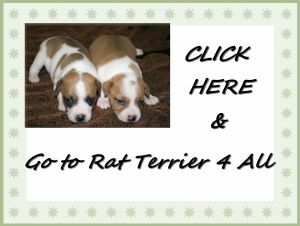 The Standard Rat Terrier is unmatched in pure athleticism, they have a keen intelligence and are easily taught obedience. Puppies go to their family with a ready ease and bond almost instantly with their new family. To see and experience is to believe. SEEGMILLER BORN AND BRED SEVEN GENERATIONS STRONG! Tentative & PLANNED BREEDING'S nothing is set in stone until I pair up the adults, sometimes I change my mind d/t further research/availability. Killer&Ember will be bred not sure on stud yet. **These are only planned mating's and are not always set in stone we reserve right to change breeding's when needed. Album by kim seegmiller. 0 Total.